To cancel your course booking, navigate to "Existing Enrolment" from the Dashboard. From here, you are able to see all the bookings you currently have. To cancel your booking, navigate to it and click the "Cancel Booking" option. 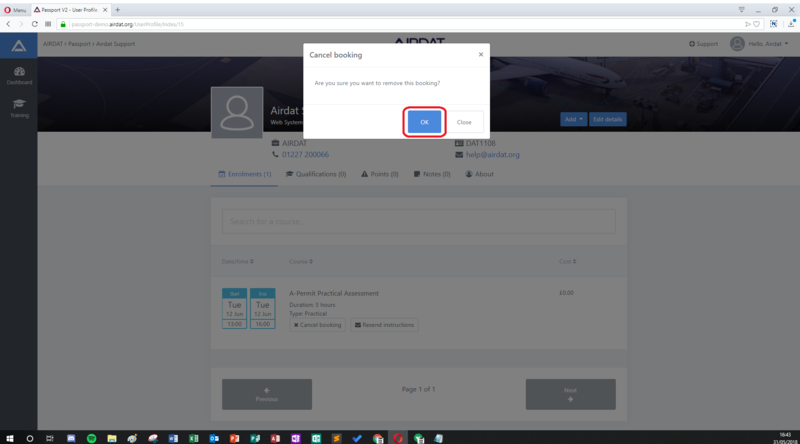 Once you have selected to cancel your booking, you will be asked to confirm. Click "OK" to confirm the cancellation. 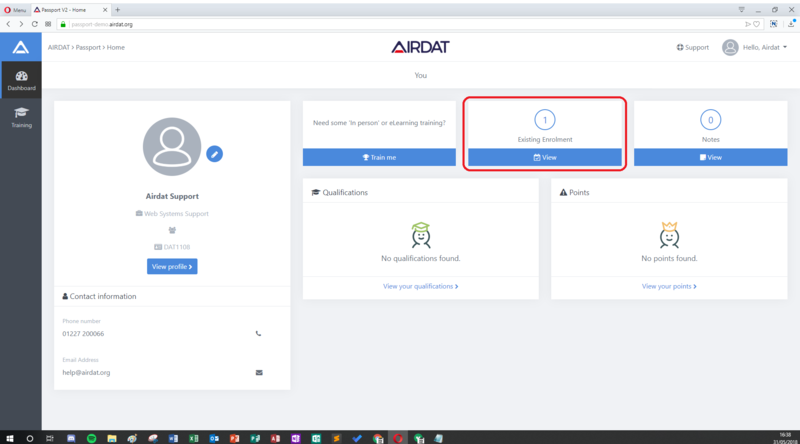 You can then navigate back to your Dashboard, and you will no longer have any course enrolments. 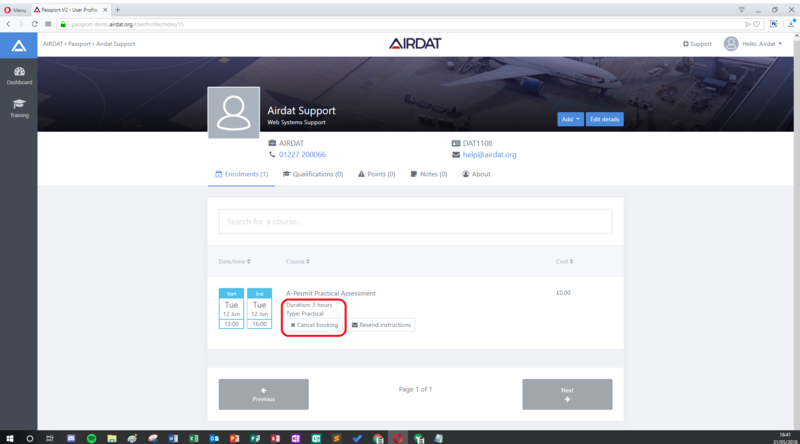 If you need any assistance cancelling your booking, please contact AIRDAT support.